The NCAA Men’s Basketball Tournament is an enormous time commitment for student-athletes. The event takes them away from the classroom for weeks. For Loyola’s players, making it to the three-week tournament’s final weekend meant an extended absence from campus. Throughout it all, players were still responsible for keeping up with their academics on the road and making up the work they missed after the run ended. 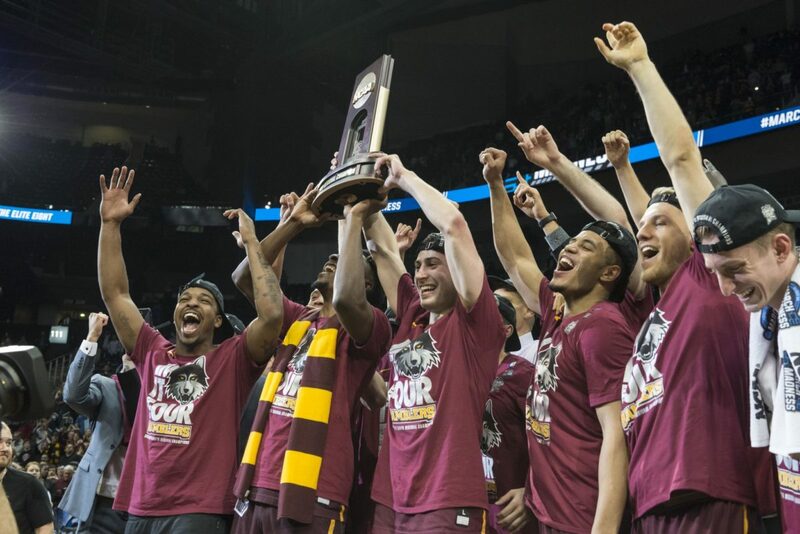 Between when Loyola headed to the Missouri Valley Conference Tournament Feb. 28 and its season-closing Final Four loss against Michigan March 31, the players traveled to four different cities — St. Louis, Dallas, Atlanta and San Antonio — and missed 14 school days over the 31-day span. Helping the team navigate through the academic side of it all was Samantha Stewart, assistant athletic director for academics and student development. Stewart traveled from city to city with the team, organizing academic plans for players, setting up study halls in hotels and maintaining correspondence with players’ professors. Each study hall on the road lasted one to two hours, and the team usually had two sessions each trip. The players couldn’t keep up with everything, but Stewart said it was important to show they were staying involved. Stewart admitted the university wasn’t acquainted with a situation like this, so officials were making the blueprint as they went. “The school didn’t have as much experience with this so we were all kind of doing it by the seat of our pants, but I think at the end we all rallied together and have been very supportive,” Stewart said. Stewart said it took a collective effort to keep the athletes’ academics in order. Professors did their best to accomodate the needs of the players by giving extensions on exams and papers. “This is all possible because we all worked as a team and they’ve been super understanding in trying to work with students,” Stewart said. Dr. Bren Ortega Murphy has four men’s basketball players in her Ethics and Communication course, so she had a special session with the student-athletes after the tournament, because they’d missed so many crucial in-class topics. She said she knew the players were under a different type of pressure. “I thought a lot about what it would mean for a student [at that age] to all of a sudden be thrust into this national spotlight, so you’re not only traveling, you’re not only have the pressure building for you in terms of competition, but you also have this unprecedented national lens focused on you,” Murphy said. 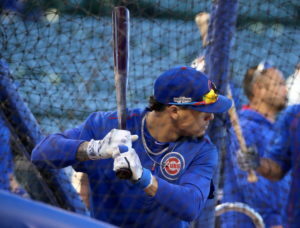 Murphy was also adamant on how the players were given no “free pass” during the tournament. “I was very aware of the fact that, apparently in some schools, athletes are just given a free pass or given special courses where they don’t have to do much work and that simply was not the case at Loyola. I mean these people were enrolled in regular courses,” Murphy said. Stewart credits the players’ work ethic as what made them able to stay on top of their studies. In the midst of press conferences and playing games on the biggest stage, the players still put energy into their school work. Stewart said the best study hall sessions the team had were prior to their Sweet 16 and Elite Eight games. The team has seen tired times. They had a study hall session the Friday before their Final Four game right after they spent hours doing press work. “They looked extremely exhausted … but we still did it,” Stewart said. While the players were welcomed back to campus as heroes, the missed work was still there waiting for them. “Coming back, not only were they tired, they had been on the road for so long, they were a bit overwhelmed by how much they’ve missed … I think reality set in,” Stewart said. Late into April, almost a month after the tournament’s end, players are still making up work they missed while putting Loyola’s name in national headlines. Redshirt junior guard Clayton Custer was named to the MVC Scholar-Athlete first team and the I-AAA Scholar-Athlete team this season and said it’s been tough adjusting back to classes. “We still have a lot of make-up work going on right now so we’re definitely all grinding here at the end of the semester,” Custer said. Custer said the late study nights this April have been a fair price to pay for the Final Four glory. “That was an experience none of us will ever forget. It’s worth being behind in school,” Custer said. Seniors Ben Richardson, Donte Ingram, Nick DiNardi, Carson Shanks and Aundre Jackson, along with Custer, are finishing up their last credits for graduation. Nick Knacks: ¡Viva El Mago!